With Vegan Pressure Cooking, you'll learn all of the ins and outs of pressure cooking - including why there's no need to be scared of trying something new! Buying this product = 30 Reward points for Members. Your cart will total 30 points = voucher of $1.50. Not a Member? Join at checkout to claim these points. Say goodbye to long cooking and preparation times. With a pressure cooker, you can cook filling, nutritious meals in under an hour and with little mess or cleanup. It's not only delicious, but easy too! 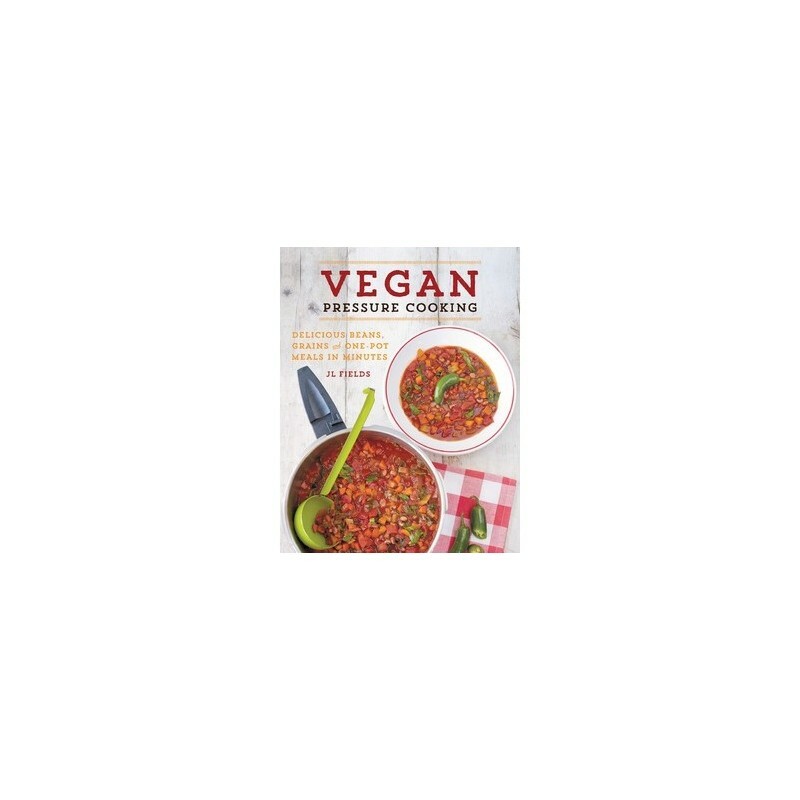 With Vegan Pressure Cooking, you'll learn all of the ins and outs of pressure cooking--including why there's no need to be scared of trying something new! 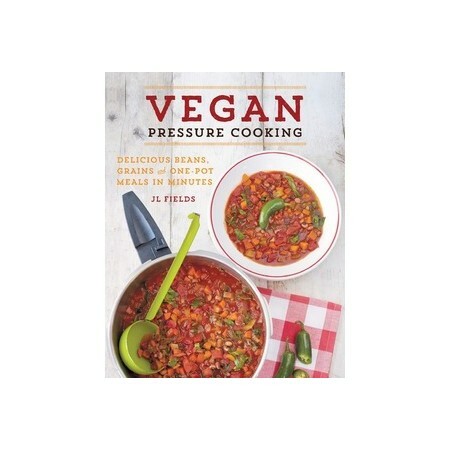 From choosing a pressure cooker that suits you best to understanding the ingredients that are perfect for pressure cooking - including beans, grains, hearty vegetables, and more - author JL Fields will walk through all the ropes so you can start creating delicious, everyday meals in no time. Recipes span all meals and tastes, from easy breakfasts like Savory Oatmeal and Stewed Apricots to healthy dinners like Kale, Lentil, and Squash Chili and Sweet Potato Enchiladas. There's something for everyone!